Personalised santa please kids christmas t-shirt, raglan or hooded t-shirt. 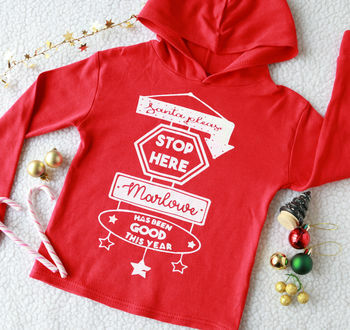 Our santa please top is the perfect subtle reminder for santa! 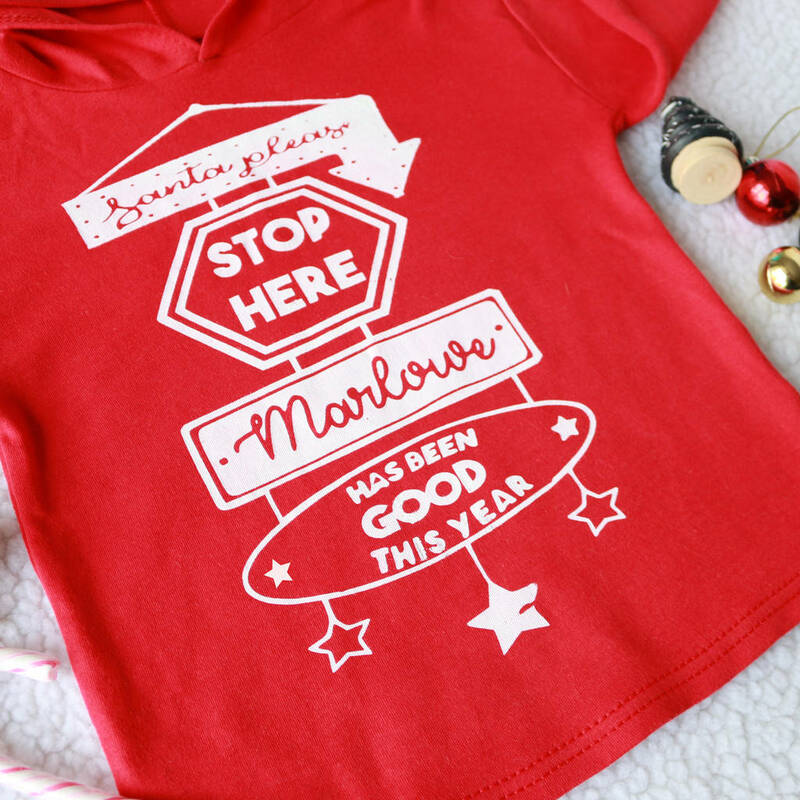 Because your little one has, of course been good all year. 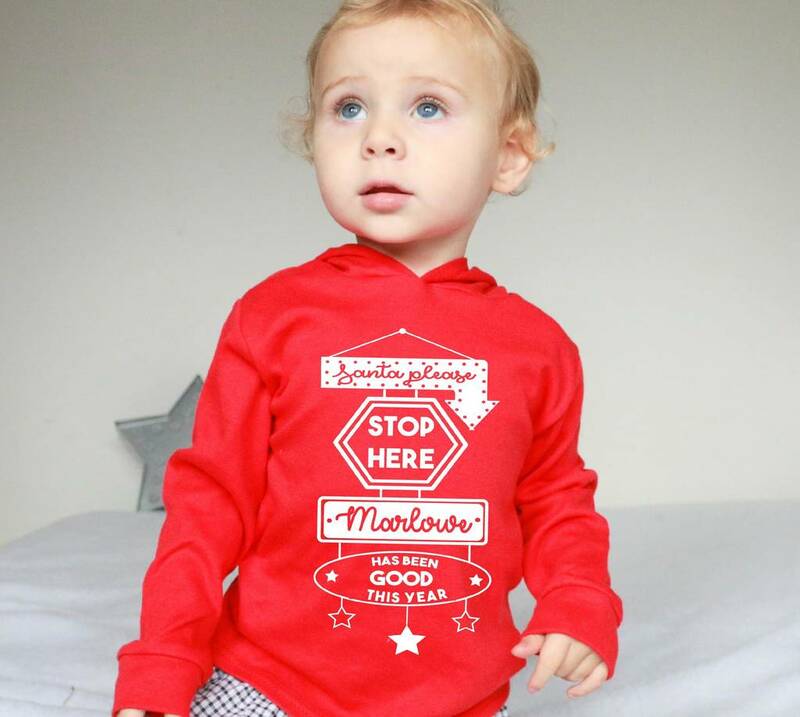 Personalised with your childs name this names the perfect christmas outfit. All of our designs are hand screen printed with water based eco friend inks. Meaning the design sinks into the fabric for a long lasting print that washes and wears beautifully. 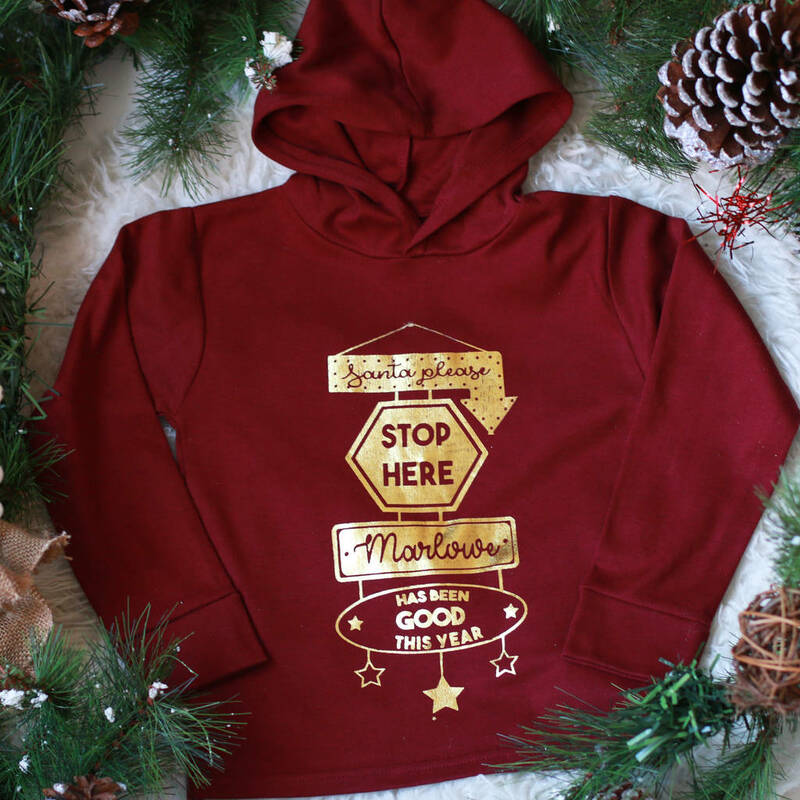 Available in a light weight cotton hoody in festive green, red, grey, black or maroon..
Long Sleeves in black, white or grey. 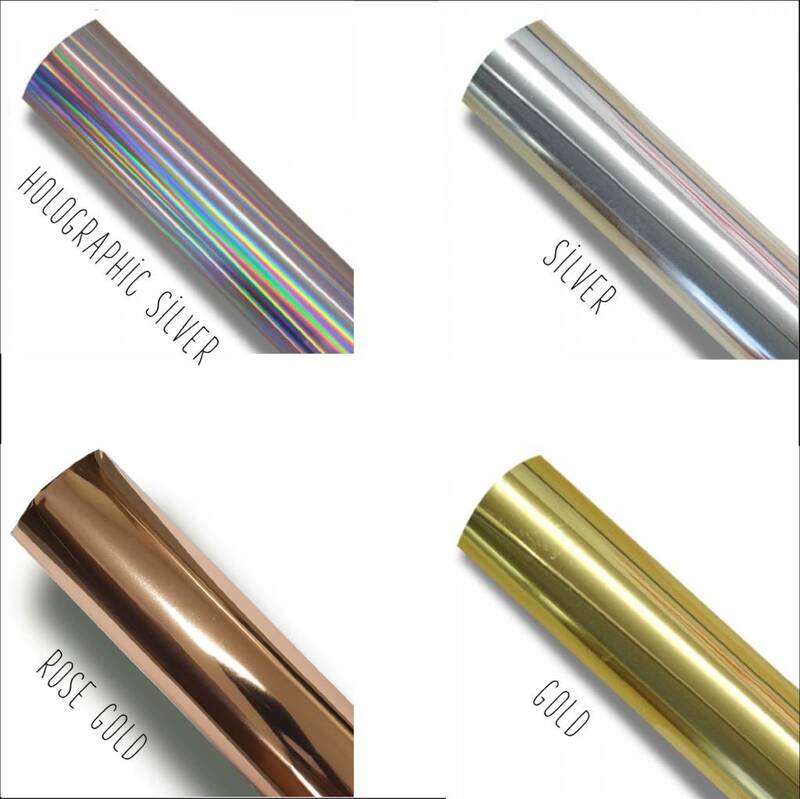 There are a huge range of ink colours to choose from, Please use drop down menu to browse. 100% cotton and printed with eco friendly water based inks in our east london studio.